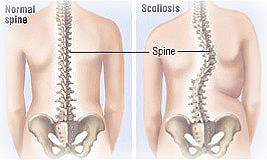 Scoliosis is a lateral curvature in the normally straight vertical line of the spine. When viewed from the side, the spine shows a mild roundness in the upper back and inward curvature of the lower back. The most common type of scoliosis is idiopathic; it is present at birth and may be inherited. Other types include neuromuscular scoliosis and degenerative scoliosis. Idiopathic scoliosis usually affects those ages 10-16, progressing during the growth years. Some clues that a child may have scoliosis include uneven shoulders, a prominent shoulder blade, uneven waist, or leaning to one side. Scoliosis in adults may be caused by trauma, may have been present since birth, or may be considered idiopathic scoliosis, which has no identifiable cause. Though there are theories as to why people develop idiopathic scoliosis, none have been proven conclusively. Doctors recommend surgery for those with more than a 50 percent curve, but this does not typically straighten the spine. Instead, it helps to keep the scoliosis from worsening. Most of the time, compression fractures in your back — small breaks in bones caused by osteoporosis — heal on their own in about 3 months. But you might need surgery if you’re in a lot of pain and can’t get relief from medicine, a back brace, or rest. Dr. Rouben also might suggest surgery to prevent your broken bones from damaging nearby nerves. Two common operations are called vertebroplasty and kyphoplasty. Your surgeon puts cement into your broken bones to help keep your spine stable. It’s done through a small opening so you’ll heal faster. Another option is spinal fusion surgery. Your surgeon “welds” some of your bones together to strengthen them. Degenerative disc disease happens gradually and is a normal part of aging. 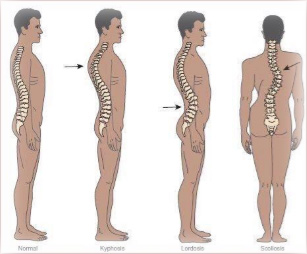 Degenerative changes in the spine often cause loss of normal structure and/or function. 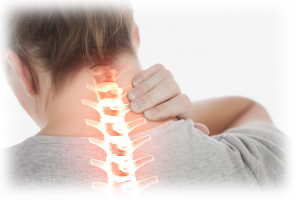 Each movement of the spine can contribute to wear and tear, and, over time, these daily stresses and minor injuries can accumulate without you even being aware or feeling pain. Eventually, the disc begins to degenerate. As the disc space collapses and loses height, stability can be lost and the nerves housed in the spinal canal can become compressed. 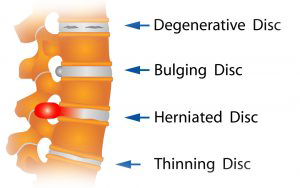 It is important to remember that disc degeneration is part of the natural process of aging and does not necessarily lead to chronic lower back pain. Bone spurs, sometimes called osteophytes, may begin to form around the disc space. This may be the body’s response to try to stop damaging movement. 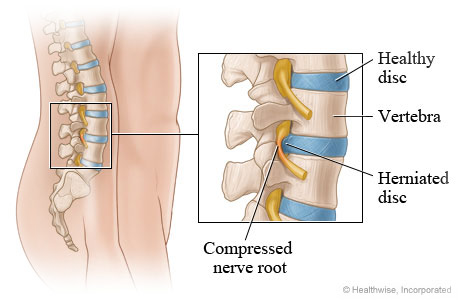 The spurs can become a problem if they start to grow into the spinal canal and press on nerves or the spinal cord. This condition is called spinal stenosis and, many times, accompanies degenerative disc disease. Lumbar spinal stenosis is narrowing of the spinal column that causes pressure on the spinal cord, or narrowing of the openings (called neural foramina) where spinal nerves leave the spinal column. 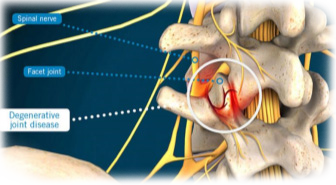 Often, symptoms of lumbar spinal stenosis will get worse slowly over time. Typically, symptoms will be on one side of the body or the other, but may involve both legs. Symptoms are more likely to be present or get worse when you stand or walk. They will often lessen or disappear when you sit down or lean forward. 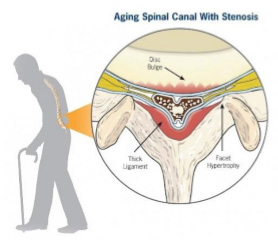 Most people with lumbar spinal stenosis cannot walk for a long period of time. Patients with spinal stenosis may be able to ride a bicycle with little pain. 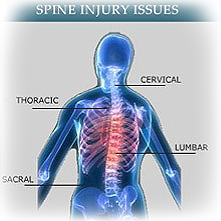 Degenerative spine conditions involve the gradual loss of normal structure and function of the spine over time. They are usually caused by aging, but may also be the result of tumors, infections or arthritis. Pressure on the spinal cord and nerve roots caused by degeneration can be caused by: Slipped or herniated discs. 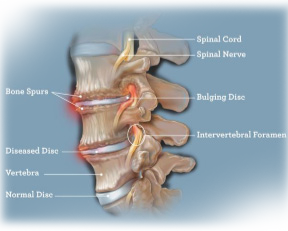 This process also causes the discs to flatten over time, reducing the amount of space between the vertebrae. Pain associated with degenerative disc disease can be inflammatory and/or mechanical. 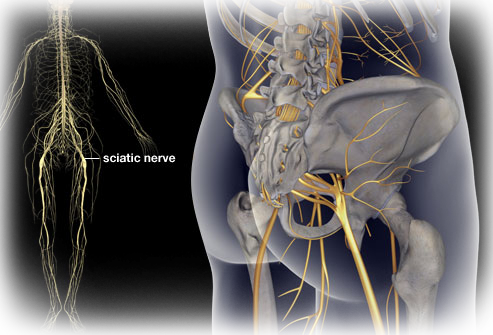 Inflammatory pain is caused by the release of chemicals in the nucleus that irritate nerve endings in the annulus fibrosus. The primary goals of all degenerative tissue disease/osteoarthritis or arthritis treatments are to lower inflammation/swelling, control pain, improve mobility andjoint function, help maintain a healthy weight so you put less pressure on fragile joints, and to improve your mood — so you’re better able to get back to a more functional life. Degenerative joint disease is a common cause of low back pain. The lumbar facet joints, like other synovial joints of the body, are susceptible to wear and tear, degeneration, inflammation and arthritic changes. These changes combine to cause degenerative disc disease and its symptoms. DDD begins with changes in your intervertebral discs, but eventually it will affect the other motion segments of the spine, such as the facet joints. … Additionally, water-attracting molecules—and hence water—in the disc decreases. 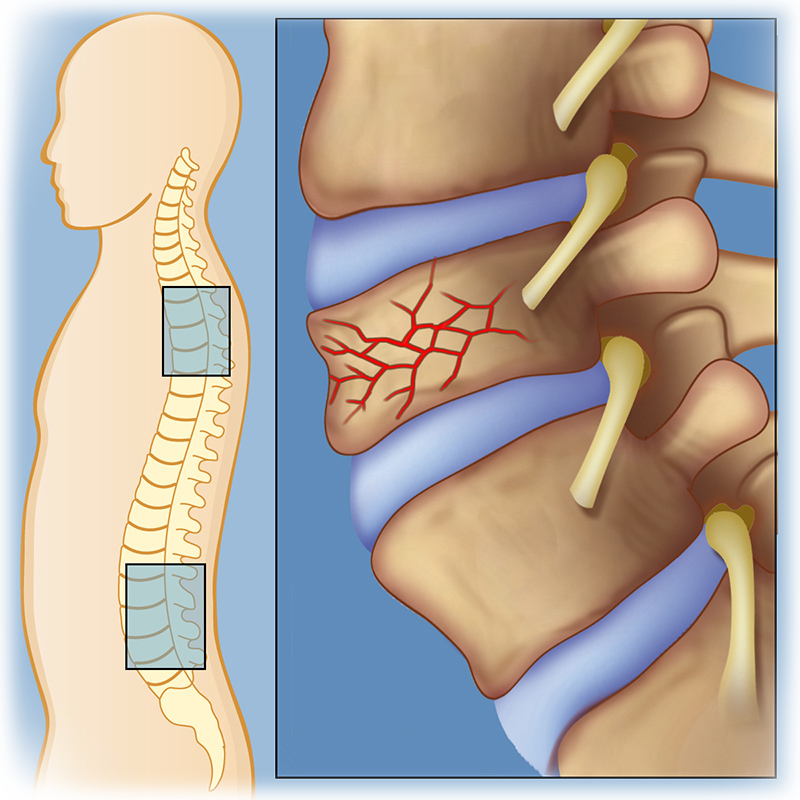 When you have pain in your neck or upper back that you’ve never felt before, you might have a herniated cervical disk. While it might sound worrisome, it is not an uncommon health problem as you age. In fact, you could often have one without any symptoms. Learn more about your cervical disks, what can cause one to become damaged, the symptoms, and when to call your doctor. It helps if you first learn a little about your spine, how it’s constructed, and where your cervical disks are found. Your spinal column is made up of bones called vertebrae. They hold you upright. They also surround and protect your spinal cord, which looks like a tube with fluid running through the middle. It stretches from your brain to the bottom of your spine. In between the vertebrae are spongy cushions called disks. They act like shock absorbers for your regular movements, as well as jumping, running, and other activities that put wear and tear on your body. The top seven vertebrae in your spine are the cervical vertebrae. The cervical area of your spinal cord also contains nerves that connect to your arms, hands, and upper body. Cervical disks cushion the cervical vertebrae. They also connect the vertebrae to each other so you can bend and twist your neck and back. The disks between vertebrae contain a gel-like substance in the center of them. The outer part of a disk is made up of fibrous cartilage that keeps the gel contained. When the outer part gets tears or splits, the gel can poke out. This is what it means for a disk to become herniated. A herniated disk is also called a “ruptured disk” or a “slipped disk.” You can think of it like a jelly doughnut whose filling has squirted out. Age. A disk can be more prone to herniating because of wear and tear. When we’re young, our disks have a lot of water in them. But over time as we get older, the amount of water decreases. Less water in the disks means they can become less flexible. And that means when you move, twist, or turn, the chance of it rupturing, or herniating, is greater. In older people, they can rupture with less force. Genetics. Herniated disks also can run in families. Movement. Sudden, jarring motions can cause one. Sudden strain. If you lift a heavy object or turn or twist your upper body too quickly, you can damage a disk. The bones (vertebrae) that form the spine in your back are cushioned by round, flat discs. When these discs are healthy, they act as shock absorbers for the spine and keep spine flexible. If they become damaged, they may bulge abnormally or break open (rupture), in what is called a herniated or slipped disc. 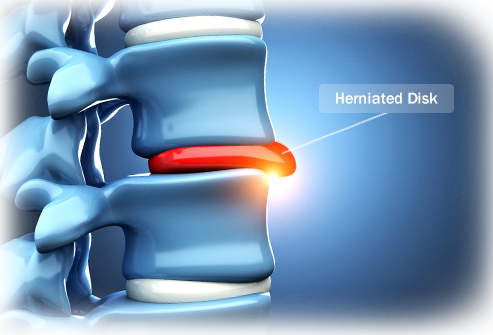 Herniated discs can occur in any part of the spine, but they are most common in the neck (cervical) and lower back (lumbar) spine. The seven vertebrae between the head and the chest make up the cervical spine. These symptoms may result from changes that develop in the spine’s discs and bones. For example, if a disc weakens or tears — known as a herniated disc — pressure can get put on a spinal nerve. 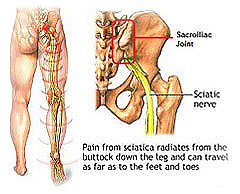 Thank your scaroiliac (SI) joints every time you stand up straight. These two joints work hard; they connect your spine to your pelvis, support your upper body, and act as a shock absorber. Yet they don’t get much attention —that is, until they start to hurt. The best treatment for you depends on your unique situation. Discuss treatment options with your doctor or contact Dr. Rouben today. You and your doctor will need to discuss the appropriate treatment plan right for you. Contact us today to Get Started. Abnormal curvature in the spine can put it out of alignment. Abnormal curvature seen from the side is called sagittal imbalance. Types of sagittal imbalance include kyphosis, syndrome i, and chin-on-chest syndrome. Abnormal curvature of the spine seen from the back is called scoliosis. Your Best Solution is to contact us today so that we may better assess your condition. 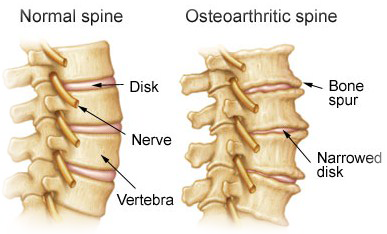 Osteoarthritis of the spine is a breakdown of the cartilage of the joints and discs in the neck and lower back. Sometimes, osteoarthritis produces spurs that put pressure on the nerves leaving the spinal column. This can cause weakness and pain in the arms or legs. Some people experience little interference with the activities of their lives. Others become more severely disabled. In addition to the physical effects, a person with osteoarthritis might also experience social and emotional problems. For instance, a person with osteoarthritis that hinders daily activities and job performance might feel depressed or helpless. In most cases, treatment of spinal osteoarthritis is geared toward relieving the symptoms of pain and increasing a person’s ability to function. The goal is to have a healthy lifestyle. Your Best Option is to contact a medical professional for a proper evaluation. Am I a Possible Candidate for Spine Surgery? Do you have pain in your back or tingling and numbness in your extremities? Have you tried nonsurgical treatments such as massage therapy, yoga, acupuncture or chiropractic care without relief? Has your physician recommended back surgery? 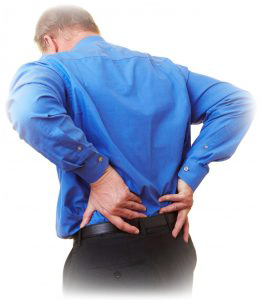 Have you had open back surgery but are still experiencing pain? Dr. Rouben may recommend traditional spine surgery or minimal access spine surgery as a treatment for back pain if you haven’t found significant relief through conservative care. We encourage you to research all of your options before having open neck or back surgery. Unlike open neck or back surgery, our minimally invasive outpatient procedures offer less risk of complication, reduced risk of infection and shorter recovery time, when compared to the hospital stays associated with traditional open spine surgery. You don’t need to take as much pain medicine.